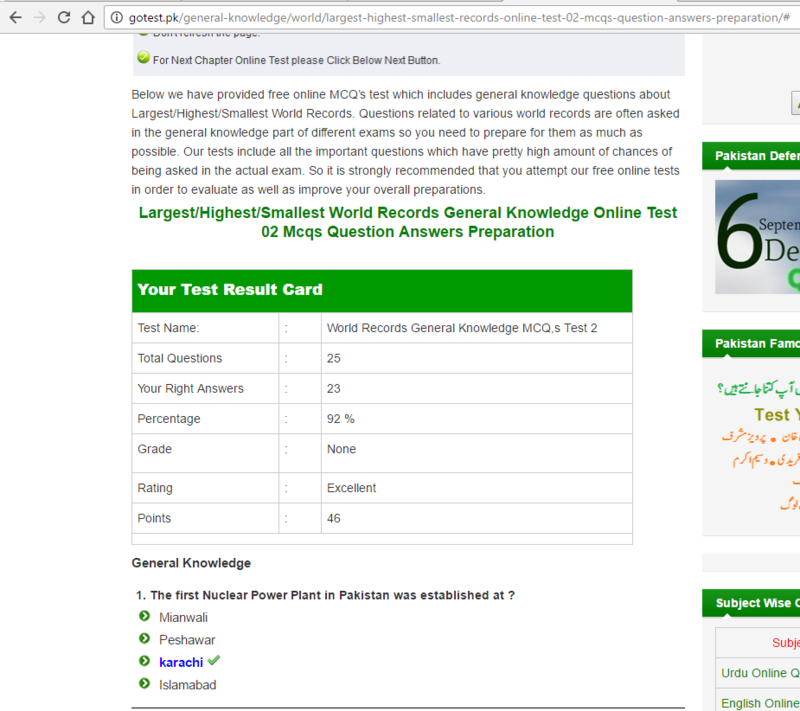 Below we have provided free online MCQ’s test which includes general knowledge questions about Largest/Highest/Smallest World Records. Questions related to various world records are often asked in the general knowledge part of different exams so you need to prepare for them as much as possible. Our tests include all the important questions which have pretty high amount of chances of being asked in the actual exam. So it is strongly recommended that you attempt our free online tests in order to evaluate as well as improve your overall preparations. this is an absulutelygood website …..interusting @nd i got 100!! !sooo nicelove this website sooo much OMGGGG!! !